Share the post "This restaurant specializes in rotisserie chicken, a favorite among Okinawan people for a long time (Kamiyama, Ginowan City)." As a matter of fact, Okinawa is the number one prefecture nationwide to have fried chicken chain stores! For a long time, Okinawans have been in the habit of eating chicken when many people gathered, such as when having family visiting at home, going to the house of a relative or a friend, or eating chicken at a graduation ceremony. It is thought that this custom is unique to Okinawa because it was brought by the US military after WWII. It does not exist on main land Japan which wasn`t under the influence of the American culture after the war. From small child to grandparents, the people of Okinawa prefecture love chicken. Recently at convenience stores, the fried chicken dishes, limited to Okinawa, are a huge hit! Chicken drumsticks are widely sold in many places even at supermarkets. 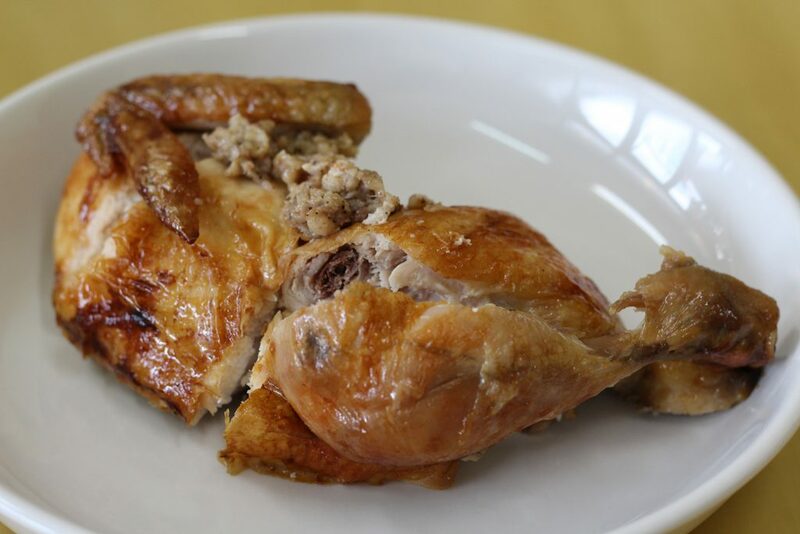 For Okinawan people, chicken is not only for special day such as Christmas but also as a familiar dish that is served at the table on a daily basis. 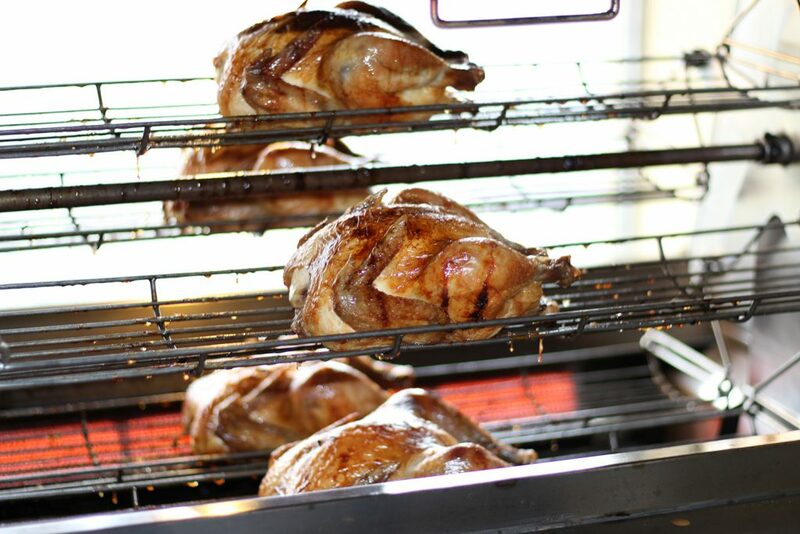 A long well-established rotisserie chicken restaurant "Kokekokko House" was founded over 30 years ago. The shop name "Kokekokko" is the chicken's voice in Japanese. Therefore, it is somewhat a charming name for the restaurant. 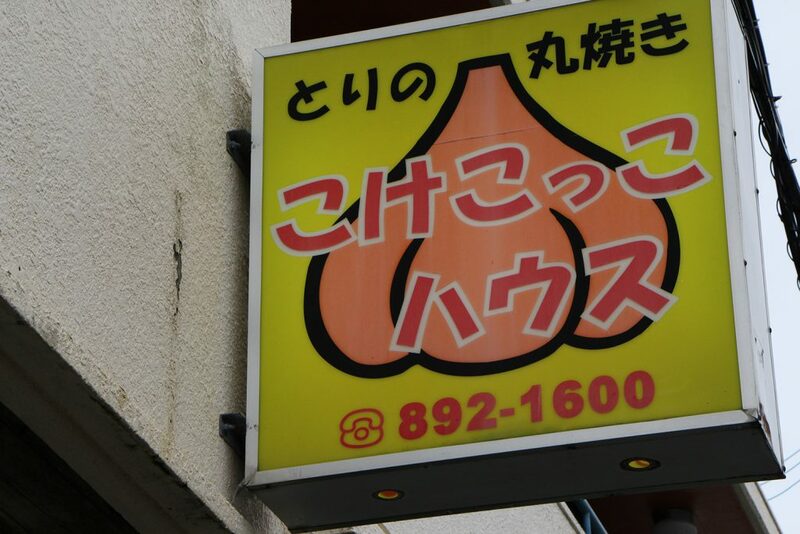 The sign is an orange sign with an illustration of garlic. Why garlic? Because, there are plenty of garlic flavors within the chicken. This makes it a delicious and addictive taste. We`re committed to feeding our chicken only herb-infused-food! The young Yanbaru chicken carefully raised on herb-infused-food, are raised on designated farms surrounded by the beautiful air and rich greenery of Yanbaru (northern main Okinawan island). For safe and healthy chicken breeding, we mix herbs into the food, such as oregano, garlic and ginger. You can enjoy a balanced and juicy taste that comes with this method of raising. The chicken with no gentle taste and good taste of black pepper is a good accent. The taste, aroma, and juiciness are outstanding and the fragrance of garlic is a gem of an appetite! Homemakers buy chicken for dinner, and business men buy chicken to accompany beer snacks. "Kokekokko House" is great for sightseeing people eating in. You can bring your own food. 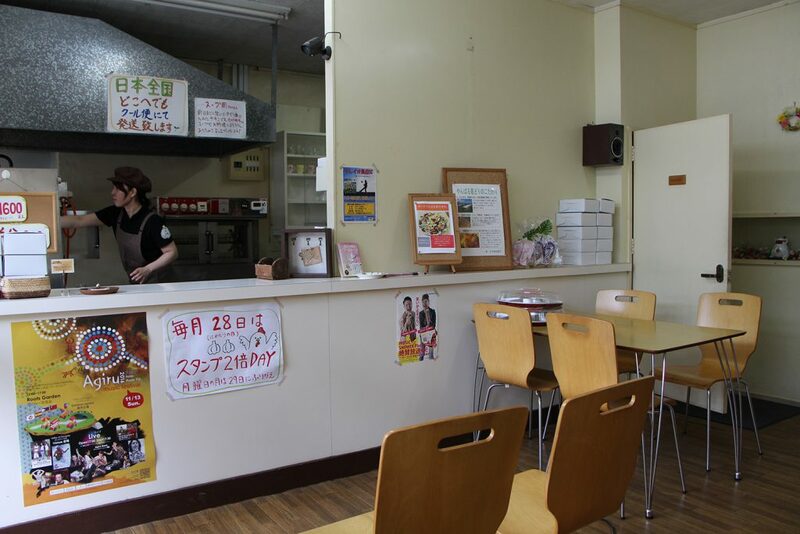 You can also buy your own meal, bread, and drink from at a nearby supermarket and convenience store and eat in. Of course you can also order take out, so why don't you drop by during the drive? I took over my mother's restaurant and continue to run it. Kokekokko House" was opened by Ms. Ikehara's mother (photo left) about 30 years ago. Currently, Ms. Ikehara's mother is retiring. 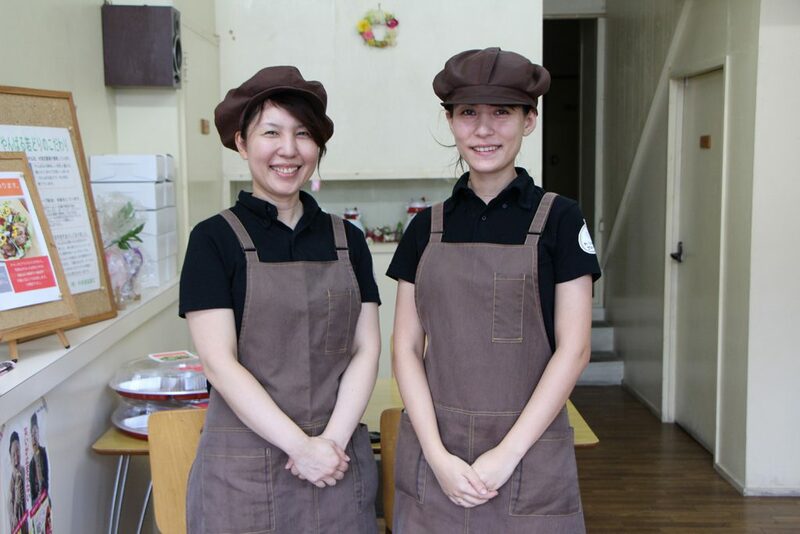 Ms. Ikehara herself who helped the shop from the time as a student, is now entrusted with the shop including purchase management and seasoning. Local people buy return-gifts for their birthday or special occasion, also popular among Americans living on-base. There are also many tourists who visit from Honshu after watching TV programs and SNS. Ms. Ikehara happily said, "I ordered chicken outside the prefecture and felt nostalgic about the taste. 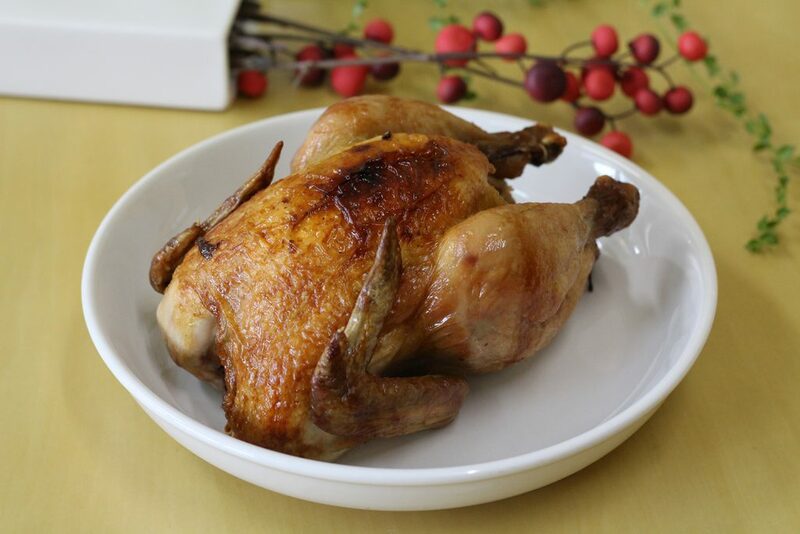 Parents who have sent their children to live outside the prefecture have a great nostalgia about the chicken. Frequent customers seem to eat rice with the garlic rotisserie chicken, with fried rice, soup from the remaining chicken broth as in enjoying the original way of eating. If you have the opportunity, please try it. 3 parking spaces available, next to the store. Rotisserie chicken that's loved by three generations!! 50 yen OFF on one rotisserie chicken. This coupon cannot be combined with additional discounts. TOP > Gourmet > This restaurant specializes in rotisserie chicken, a favorite among Okinawan people for a long time (Kamiyama, Ginowan City).